In an analysis of 30 rental markets, Business Insider ranked Dallas as the #1 place to buy a rental property. The Dallas Fort Worth area has become a booming economic center with large businesses, such as Toyota, moving to the area in the near future. With high paying jobs and cultural amenities like museums and theaters, you can be sure Dallas Fort Worth will attract many families who want to rent single-family homes. For investors wanting to buy property in the Dallas Fort Worth area, there has never been a better time. Mortgages are still reasonable, with the median-investment home costing $199,300, and rents around $1,630. 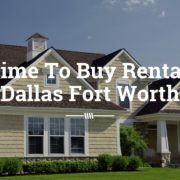 Dallas Fort Worth is a great place to purchase an investment home and make a big return, and with professional, experienced property management, Fort Worth landlords can make even more. Owning rental property is all about keeping your costs down. Cash flow is everything, but cutting corners can have consequences. Even though Dallas Fort Worth is a great rental market, landlords can lose big if their property is not run properly. Too often, landlords think owning property in a booming area will be an automatic win. Rental property is a long-term investment, and if it is not managed well, your investment could go south. With experienced property managers, Fort Worth landlords can keep costs down by performing proactive maintenance, placing qualified tenants, and avoiding costly mistakes. If you own rental property in the Fort Worth area, call Specialized Property Management. 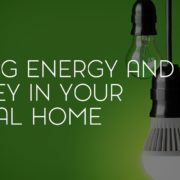 We have been in the business for almost 30 years helping landlords make the best return on their investment. Our property management team has the experience and professionalism you need to make the most out of this booming rental market. Real estate is a long-term investment, and with Specialized you can be sure your investment is stable for years to come. Call Specialized today to learn more about all our services. Many investors assume owning rental property will be an easy, relatively hands-off investment. They don’t realize the complexity and risks associated with owning a rental home. That’s why Specialized, the property management Fort Worth owners have trusted for over 30 years, have put together this list of common property mistakes you can avoid. Why should you hire property managers? Fort Worth landlords know that these mistakes can be costly and hire experienced, professional property managers to help them and protect their investment. When You Are Getting Your Property Rented: too many vacancy days, poor property selection, bad marketing strategy, and inadequate property preparation all lead to your losing money as a rental property owner. Specialized Fort Worth will help you choose and prepare a property so that it won’t sit with an unwanted vacancy. Your Tenant Interactions: Lax tenant qualifications, negative interactions, high turnover, and inadequate rent processes contribute to a bad relationship with your tenants. Poor tenant relationships will not only give you a bad reputation as a property owner but also mean tenants aren’t likely to stay once their lease is up. Your Specialized Team will handle all the tenant interactions and make sure a qualified tenant is always occupying your property. Property Owner Issues: Violations, neglecting inspections, insufficient maintenance, and cash flow problems are all behind the scenes issues that many property owners don’t think about when they first purchase an investment property. When you hire the property management Fort Worth landlords trust, you know these issues will all be taken care of by experienced professionals. You can rest easy knowing your property and your tenants are being cared for by the industry leading management team. Avoid these common rental property mistakes by hiring the right property management. Fort Worth landlords have trusted Specialized for over 30 years because they know we take care of everything concerning your rental home so you can sit back and relax. Specialized is the partner you need to improve the cash flow, efficiency, and stability of your investment properties. Call us today to learn more about our property management services.